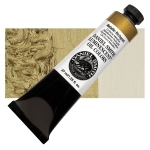 Daniel Smith Original Oil Colors are made by hand in Seattle, Washington. Introduced in 1989, they were formulated to offer a game-changing paint with remarkable color strength, reliable lightfastness, and consistent texture from tube to tube. ® DANIEL SMITH is a registered trademark.Daniel Smith Original ™ Oil Color is a trademark.